Hampton's Lawn and Home Services Inc. provides full service property management. We can organize and follow through with every project leaving the homeowner free to enjoy their time. Hampton Lawn and Home Services Inc. was established in 1991 as a landscape maintenance company. Over the years, as we worked with our customers the need for an overall management company became apparent. We now cover all aspects of lawn mowing, grounds maintenance and property management services. Our client's time is valuable. Let our experience work for you. 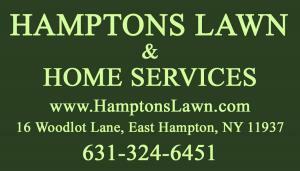 Hamptons Lawn and Home Services Inc. can help you manage all of your property's needs, quickly and efficiently. Contact Ben Porter to discuss your individual property needs.